ESTERO, Fla. - Authorities are investigating after a popular, 46-year-old southwest Florida doctor - who is also a mother of two - was found murdered in her home. 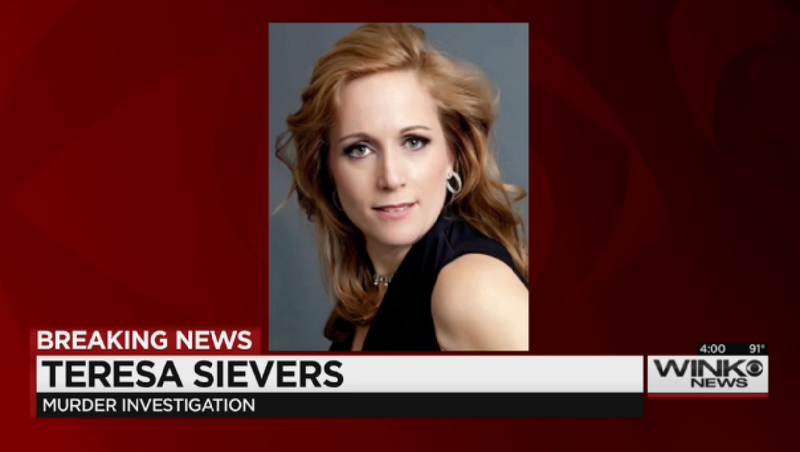 Dr. Teresa Sievers was found dead on Monday in her Bonita Springs residence. The Naples Daily News reports that the Lee County Sheriff's Office haven't answered many questions about the crime, including whether the public is at risk or whether a suspect had been identified. They also provided no information as to a motive or cause of death. CBS affiliate WINK reports detectives with the Major Crimes Unit are pursuing several leads. Sievers was known for her holistic approach to health and her work with transgender patients. She reportedly operated the Restorative Health and Healing Center in Estero. Sievers, her husband and two daughters had traveled to Connecticut for a gathering, and Sievers flew home alone Sunday. A neighbor told WINK she heard a shrill sometime around 5 a.m. Monday come from Sievers' home. Another neighbor told the station he heard a man's voice shouting. Authorities are asking anyone with information on the case to contact them at (239) 477-1000.